Get your hands on this timeless fashion staple that can be worn year after year. 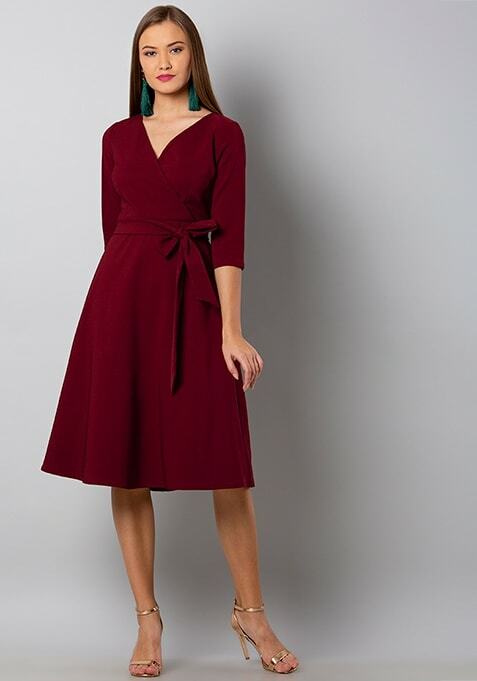 Crafted in wine poly lycra, this dress flows down your silhouette so beautifully that you'll love it instantly. Work It: Create some mystery by teaming this dress with a fur bolero and strappy heels.